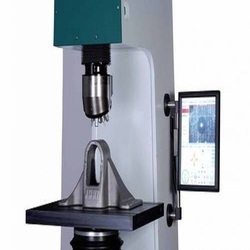 We offer wide range of precision-engineered material testing equipment that is manufactured as per various quality standards to ensure flawless performance of our equipment. 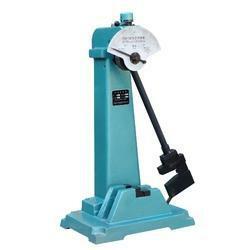 Builders and contractors mostly use this equipment for testing different material for strength and quality. 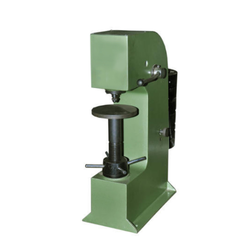 Our range of products are Compression Testing Machine, Universal Testing Machine, Rockwell Hardness Testing Machine, Impact Testing Machine and Tensile Testing Machine. 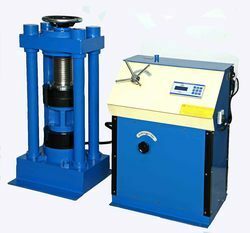 Compression Testing Machines are used to determine the compressive strength of concrete cylinders, cubes, and masonry blocks. The microswitch fitted in load gauge and relay contacts in digital load indicator to protect the machine from overloading. Available in dial gauge, digital & computerized models. 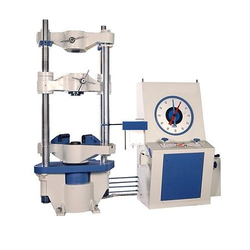 The Impact Testing Machines is mounted on antifriction bearings. It has two starting positions, the upper one for Charpy & the lower one for Izod Testing. On release, the pendulum swings down to break the specimen and the energy absorbed in doing so is measured as the difference between the height of drop before rupture and the height of rising after rupture of the test specimen. We are proud to present a splendid range of Rockwell Hardness Testing Machine, which is highly favored by our clients owing to its rust-resistant property. Manufactured using high-grade raw material and processed using advanced technology, this range of machinery exhibit exceptional durability and portability. The exclusive range of Brinnel Hardness Testing Machine that we offer can be availed as per the economic convenience of the clients. We manufacture this range of products as per the specifications and details provided by the clients. Furthermore, these we are capable of offering products in bulk quantity and deliver them on time. With the assistance of an efficient workforce, we are capable of providing our clients with an unparalleled range of Brinnel Testing Machine. These products are manufactured in accordance with global benchmarks of quality. The customer can avail these products from us at market-leading prices. Looking for MATERIAL TESTING EQUIPMENTS ?